2) the Perseids produce the greatest number of bright fireball meteors, compared to every other meteor shower we know. Right now, Earth is passing through a wide stream of meteoroids in space – small bits of ice, dust and rock orbiting the Sun, after being left behind by the passage of a massive ball of ice, dust and rock, known as Comet 109P/Swift-Tuttle. 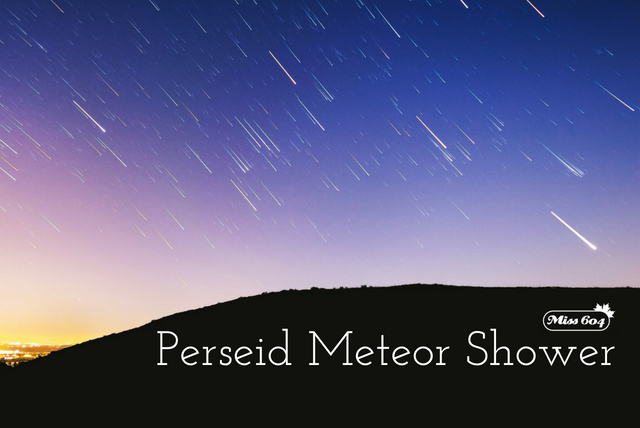 When these meteoroids encounter Earth’s atmosphere, they streak through the sky, producing bright flashes of light that we call the Perseid Meteor Shower. The shower actually runs from July 17 to August 24, as it takes over a month for Earth to completely traverse the width of the meteoroid stream left behind by Comet Swift-Tuttle. The peak will be August 12-13, and the best time to watch! Details: Meet astronomers and space enthusiasts who will have telescopes aimed at the skies. Enjoy lantern-lit trails, games, crafts, blacklight theatres and fun activities from Science World, H.R. Macmillan Space Centre, Langley Environmental Partners Society, and many others. Camp overnight to extend your star-gazing experience. This event is presented with Royal Astronomical Society of Canada. Read more about the celestial event via the Weather Network.